26 avril 26/04 SENIORS MASCULINS SM1 21:00 BC PLENEE JUGON BC PLENEE JUGON Champ. 27 avril 27/04 IE - CTC AURORE-ETRELLES-ARGENTRE IE - CTC AURORE-ETRELLES-ARGENTRE À venir U13 FILLES-1 CTC - COMPETITION U13F1-CTC-COMP Champ. 27 avril 27/04 U18 FILLES 2 U18-F2 15:00 VIG. PLEMET - 2 VIG. PLEMET - 2 Champ. 27 avril 27/04 AMICALE SPORTIVE ERGUE ARMEL AMICALE SPORTIVE ERGUE ARMEL 15:30 U13 GARS-1 CTC - COMPETITION U13G1-CTC-COMP Champ. 28 avril 28/04 SENIORS FÉMININES 2 SF2 13:15 BB PORDIC - 2 BB PORDIC - 2 Champ. 28 avril 28/04 RENNES AVENIR - 2 RENNES AVENIR - 2 15:30 U18 FILLES 1 U18F-1 Champ. 04 mai 04/05 Exempt Exempt À venir U15 GARS CTC - DEVELOPPEMENT U15G2-ALSTB-ALP-DEV Champ. 04 mai 04/05 U9 COMPETITION U9-COMP 09:00 AL ST BRIEUC AL ST BRIEUC Champ. 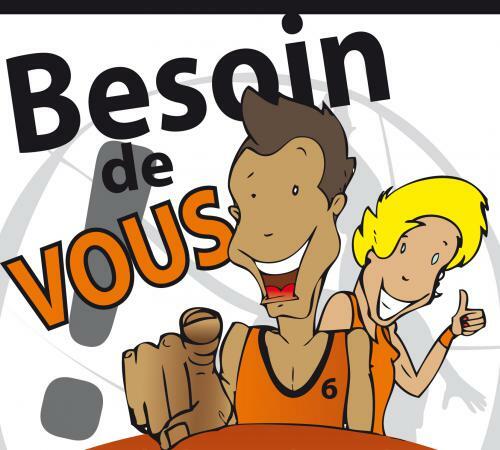 04 mai 04/05 U11 GARS U11G 10:30 EN - PLOULEC'H BASKET BALL - 1 EN - PLOULEC'H BASKET BALL - 1 Champ. 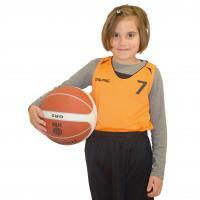 04 mai 04/05 AL LOUDEAC - 2 AL LOUDEAC - 2 10:30 U9 MIXTE U9-MIXTE Champ. 04 mai 04/05 AL ST BRIEUC AL ST BRIEUC 11:00 U11 FILLES U11F Champ. 04 mai 04/05 U13 FILLES-1 CTC - COMPETITION U13F1-CTC-COMP 12:30 ILLET BC ILLET BC Champ. 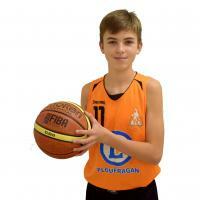 04 mai 04/05 U13 GARS-2 CTC - DEVELOPPEMENT U13G2-CTC-DEV 13:00 LANNION TREGOR BASKET LANNION TREGOR BASKET Champ. 04 mai 04/05 LANGUEUX BC LANGUEUX BC 13:30 U13 GARS-3 CTC - DEVELOPPEMENT 2 U13G3-CTC-DEV2 Champ. 04 mai 04/05 U13 GARS-1 CTC - COMPETITION U13G1-CTC-COMP 14:30 IE - CTC BAIE D'ARMOR BASKET 22 (ex LBC/TBCA/USY) IE - CTC BAIE D'ARMOR BASKET 22 (ex LBC/TBCA/USY) Champ. 04 mai 04/05 LANNION TREGOR BASKET - 1 LANNION TREGOR BASKET - 1 15:00 U17 GARS-1 U17G-1 Champ. 04 mai 04/05 U15 GARS CTC - COMPETITION U15G1-ALSTB-ALP-COMP 15:00 LANNION TREGOR BASKET - 1 LANNION TREGOR BASKET - 1 Champ. 04 mai 04/05 ENT PLOEUC HENON ENT PLOEUC HENON 15:30 U18 FILLES 2 U18-F2 Champ. 04 mai 04/05 U15 FILLES U15F 16:30 AS UZEL AS UZEL Champ. 04 mai 04/05 U17 GARS-2 U17G-2 19:00 EN - US YFFINIAC - 2 EN - US YFFINIAC - 2 Champ. 04 mai 04/05 SENIORS FÉMININES 2 SF2 21:00 ST BRIEUC ASPTT ST BRIEUC ASPTT Champ. 05 mai 05/05 U18 FILLES 1 U18F-1 10:30 CHATEAUGIRON US CHATEAUGIRON US Champ. 05 mai 05/05 PLEYBER CHRIST BASKET CLUB PLEYBER CHRIST BASKET CLUB 15:30 SENIORS FEMININES 1 SF1 Champ. 11 mai 11/05 AS UZEL AS UZEL À venir U15 FILLES U15F Champ. 11 mai 11/05 U9 MIXTE U9-MIXTE 09:30 AL ST BRIEUC - 2 AL ST BRIEUC - 2 Champ. 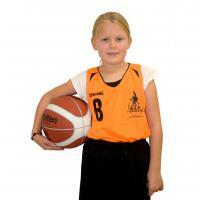 11 mai 11/05 BB PORDIC - 1 BB PORDIC - 1 10:00 U9 COMPETITION U9-COMP Champ. 11 mai 11/05 U11 FILLES U11F 11:30 TREGUEUX BCA - 1 TREGUEUX BCA - 1 Champ. 11 mai 11/05 U18 FILLES 2 U18-F2 14:00 CS MERDRIGNAC CS MERDRIGNAC Champ. 11 mai 11/05 ABC GUINGAMP - 1 ABC GUINGAMP - 1 14:00 U11 GARS U11G Champ. 11 mai 11/05 U13 GARS-3 CTC - DEVELOPPEMENT 2 U13G3-CTC-DEV2 15:00 BC LAMBALLE BC LAMBALLE Champ. 11 mai 11/05 ABC GUINGAMP ABC GUINGAMP 15:30 U13 GARS-2 CTC - DEVELOPPEMENT U13G2-CTC-DEV Champ. 11 mai 11/05 ENT LAMBALLE POMMERET - 1 ENT LAMBALLE POMMERET - 1 15:30 U15 GARS CTC - COMPETITION U15G1-ALSTB-ALP-COMP Champ. 11 mai 11/05 IE - SAINT MALO CJF IE - SAINT MALO CJF 15:30 U13 GARS-1 CTC - COMPETITION U13G1-CTC-COMP Champ. 11 mai 11/05 IE - CTC BAIE D'ARMOR BASKET 22 (ex LBC/TBCA/USY) IE - CTC BAIE D'ARMOR BASKET 22 (ex LBC/TBCA/USY) 16:00 U13 FILLES-1 CTC - COMPETITION U13F1-CTC-COMP Champ. 11 mai 11/05 U15 GARS CTC - DEVELOPPEMENT U15G2-ALSTB-ALP-DEV 17:00 BC PLENEE JUGON - 2 BC PLENEE JUGON - 2 Champ.